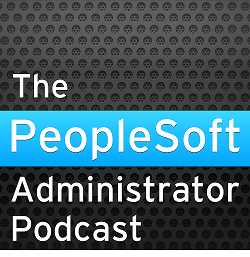 I recently recorded an interview with Dan Iverson and Kyle Benson for the PeopleSoft Administrator Podcast. It has been spread over three episodes. There is lots of other good stuff on the website and other episodes that are well worth listening to. You can listen to the podcast on psadmin.io, or subscribe with your favourite podcast player, or in iTunes.